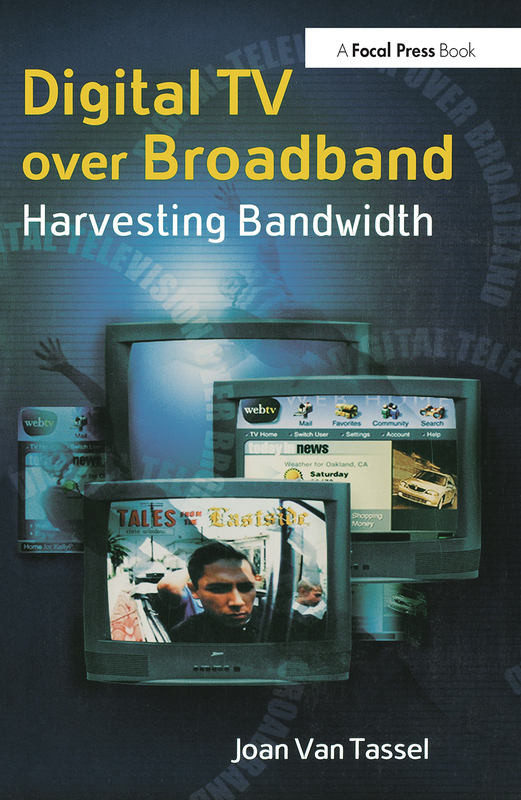 Digital TV Over Broadband: Harvesting Bandwith offers a clear overview of how technological developments are revolutionizing television. It details the recent shift in focus from HDTV to a more broadly defined DTV and to the increasing importance of webcasting for interactive television. Digital Television examines the recent industry toward a combination of digital services, including the use of the new bandwidth for additional channels of programming, as well as some high definition television. The book discusses the increasingly rapid convergence of telecommunications, television and computers and the important role of the web in the future of interactive programming. This new edition not only covers the new technology, but also demonstrates practical uses of the technology in business models. Joan Van Tassel, Ph.D., is an Associate Professor at National University. She was an award-winning television producer for ten years, wrote on technology and technology management for The Hollywood Reporter, and consulted with major companies on content management projects and digital rights management. She is the author of five books on the business of media content in the networked environment. Her book, Digital TV Over Broadband (Focal Press), received the 2001 Cable Center Book Award from the National Cable Center and Museum.